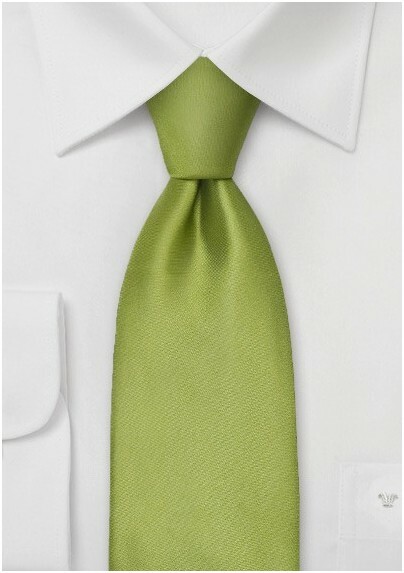 Add some color to your shirt and suit with this bright solid green silk tie by Parsley Luxury Neckwear. It is a tie that looks best during the sunny months of the year - especially when combined with gray, charcoal, navy, or tan suit. 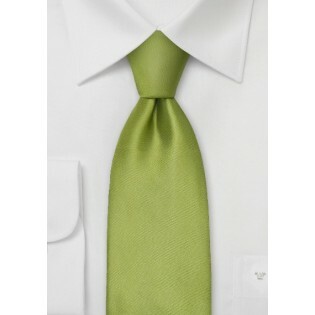 Please note that this is tie is 4 inches longer than a regular necktie - especially made for men above 6 foot 3 inches. Made by hand from 100% silk by Parsley.